We are committed to protecting and respecting your privacy and appreciate the importance of responsible use of personal data collected on this and the booking website. We take great care with personal information, taking steps to keep it secure and ensure it is used only for our legitimate business purposes. Information that you provide by filling in forms on our site www.best-car-hire.co.uk (our site) and www.cartrawler.com (fulfilment site). This includes information provided at the time of registering to use our site, completing a vehicle rental booking form or query form, posting material or requesting further services. We may also ask you for information when you enter a competition or promotion sponsored by us, and when you report a problem with our site. We will only disclose data in a way compatible with the purposes for which it was obtained. We may disclose your personal information to any member of our group Grovelawn Internet Services, and also Car Trawler which includes/means their subsidiaries, their ultimate holding company and its subsidiaries. In the event that we or Car Trawler sell or buy any business or assets, in which case we may disclose your personal data to the prospective seller or buyer of such business or assets. You have the right to ask us not to process your personal data for marketing purposes. We will usually inform you (before collecting your data) if we intend to use your data for such purposes or if we intend to disclose your information to any third party for such purposes. You can exercise your right to prevent such processing by unticking the box on the booking form relating to marketing emails or by unsubscribing to any such marketing emails by clicking on the unsubscribe link at the bottom of all email communications. You can also exercise the right at any time by contacting us at Best Car Hire, Grovelawn Internet Services, Berkeley House, Hunts Rise, South Marsdon, Swindon SN3 4TG. 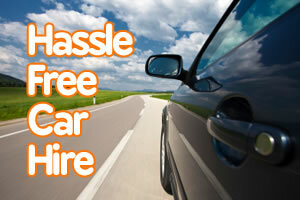 Our site links to and from the websites of our partner networks including Car Trawler, advertisers and affiliates. If you follow a link to any of these websites, please note that these websites have their own privacy policies and that we do not accept any responsibility or liability for these policies. Please check these policies before you submit any personal data to these websites. To book a car on Best-Car-hire.co.uk you need to have cookies enabled. If you do not wish to enable cookies you will still be able to browse our website but you will not be able to make a car rental booking. Most web browsers have cookies already enabled, but check Managing Cookies for help to turn them on should you need to if you have disabled this function.. Please be aware that cookies cannot harm your computer. We do not store personally identifiable information such as credit card details in cookies we create, but we do use encrypted information gathered from them to help improve the user’s experience of the site.